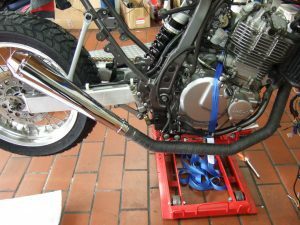 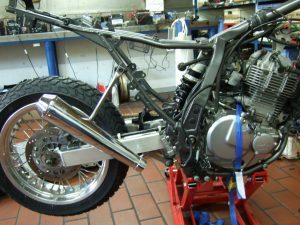 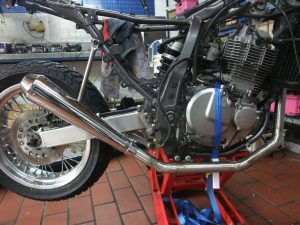 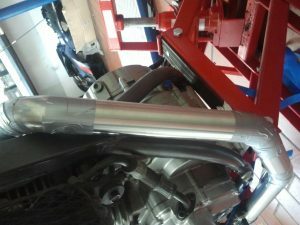 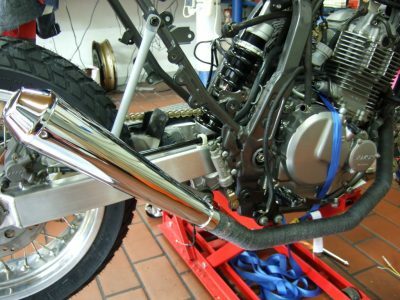 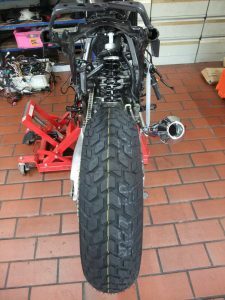 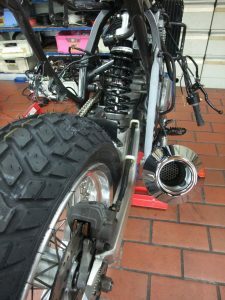 Building the exhaust. 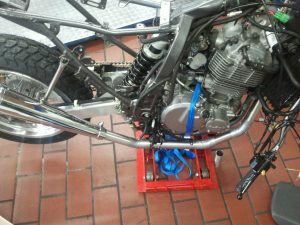 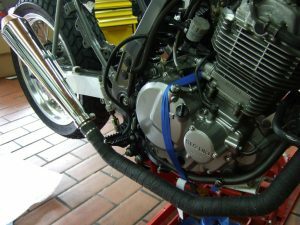 Classic after market cafe racer can and a hand made header. 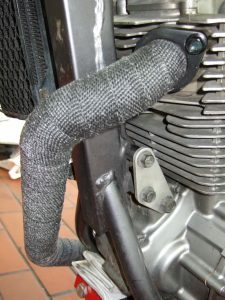 Covering with heat wrap.